Galen (Claudius Galenus c130-201 AD) Greek physician who moved to Rome and became physician to three emperors. 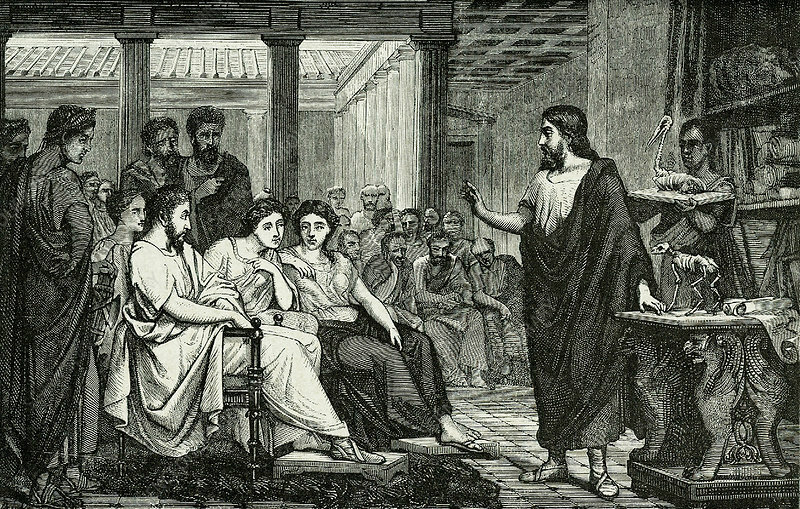 Galen lecturing on anatomy in the Temple of Peace, Rome. Artist's reconstruction published Paris, 1866.